Micro Needling Toronto – How often Should You Do It? As we age, our natural collagen breaks down and our skins cellular turnover slows down. This causes our skin to lose elasticity and its natural, youthful glow. The question is how often does one need to Micro Needle? A series of treatments is recommended, since the more consistent the treatments, the better the results. During an initial consultation, your specialist will advise that a series of 3 to 6 Micro needling treatments will provide cumulative and optimal results. These treatments can be performed approximately every 4-6 weeks. Micro needling more frequently performed will not create better results, therefore more often is not better, since the healing, inflammation and collagenases processes must take place, before the benefits of micro needling can become evident. 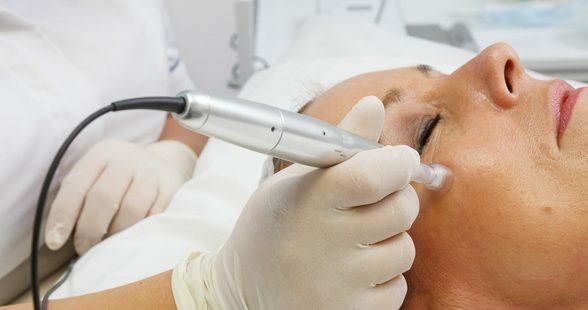 Adding the Dermaroller as a homecare measure can also help improve the penetration of products by 200%, as well as enhance the results of Micro needling. Once a series of treatments is complete, your specialist will determine what maintenance regime which will best suit you individual skin care goals. Patients should keep in mind, that as we age, unfortunately we do not produce collagen as easily as we did in our youth, therefore maintenance is the key to any skin care regime. For more information on Micro Needling and Skin Needling visit: https://www.lastinglooks.ca/micro-needling-toronto at Lasting Looks Clinic in Toronto.